The Summit is heading to a new location, the recently renovated Doubletree in Nashua located just off Route 3 with easy access to MA and NH. There is Speakers Restaurant & Pub in the Hotel offering great food and spirits. A very short walking distance away from the hotel is a variety of restaurants from fast food to fine dining, as well as a grocery store. There is also a fitness room, pool, and even a spa for guests. 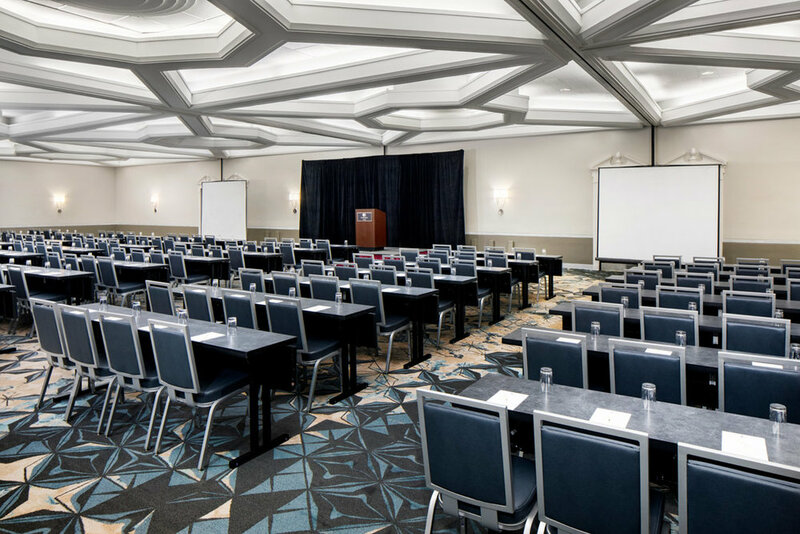 Easy parking, central location, and large event space are ideal for our three day convention. You can stay on the exclusive top floor which has a private lounge for a more quiet gaming experience. To join us on the top floor go to the Ticket page and when checking out add the “Executive Floor Room & Gaming” option. To get a regular room in the hotel please call 1-603-886-1200. Make sure you use our group code: “GGS”, not only does this get you a discount but helps us keep our costs low! For more information about the Doubletree by Hilton in Nashua NH, visit their website.